We have branding expert Clare Yarwood-White on the show today to talk to us all about the secrets of personal branding. Clare had a successful career in the world of advertising before founding her high-end wedding jewellery business, and now she runs Opal & Co, a brilliant brand consultancy for creative businesses. We wanted to talk to Clare all about personal branding as we've had a lot of questions about this area. We chat about the following: - what is personal branding photography and how it can elevate your brand - whether it's important for photographers & entrepreneurs to show more of themselves in their branding, and tips on how to do this - whether Clare has noticed a shift to clients showing more of themselves in their branding - how Clare advises clients to find the right photographer to work with - Clare's top tips for writing copy creatively. And we may have digressed a bit here to chat about why Clare is teaching her kids to swear! All of this and lots more, with a few random tangents about yoga, the Bros documentary and Marie Kondo! Although this episode has an E rating, it's all very clean until 50 mins in... the air does turn a little blue after this point so you may want to pop your earphones in if you have little ones around! 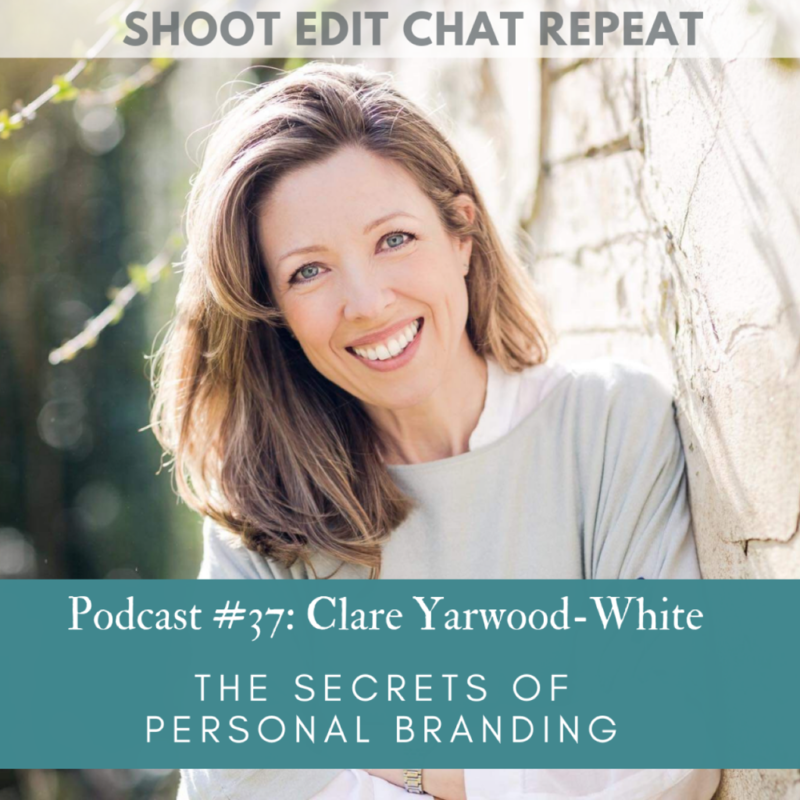 Here is the link to Vicki's personal branding shoot on the beach with Caz from Making Waves that Clare talks about You can see Clare's Opal & Co branding consultancy website here And Clare's copywriting services here ​​Thank you to Folio Albums for sponsoring this episode. Use the code ‘shootedit’ to get 40% off a studio sample album. ​​ We'd love to know what you think of this episode: Email: hello@shooteditchatrepeat.com Instagram Facebook ​​ ​​Eddie’s Lightroom presets & workshops Vicki Knights' Delight Retreat for family & child photographers in Sept 2019 Next week we are releasing the live recording from our event last weekend, can't wait to share it with you!